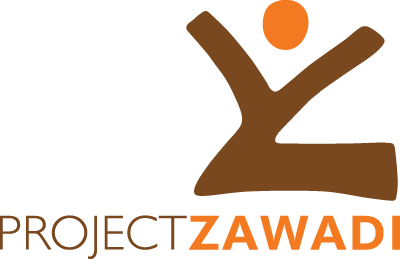 Project Zawadi is very happy to announce the addition of Adrian Maganga to our Tanzania-based leadership team! Adrian specializes in teacher professional development and is leading efforts both locally and nationally to expand opportunities for teachers and more fully incorporate a student-centered approach to teaching and learning. Utilizing local, national, and international resources, Adrian coordinates Project Zawadi’s efforts in this area with local primary and secondary school partners and a consortium of national education experts. Adrian comes to Project Zawadi with a strong education background. Graduating from Ruaha University College with a BA in Education, Adrian began his career as a trade development representative for one of Tanzania’s top telecommunications companies, working as a regional lead on Mpesa (a mobile phone-based money transfer, financing and microfinancing service). From that position, he transitioned into teaching English and History at Mihingo Secondary School, where he crossed paths with visiting Project Zawadi Board Member Ian Keith. Inspired by his visit and teachers like Adrian that he met, Ian started a program called Tenda Teachers to promote the student-centered approach to teaching and advocate for increased professional development for Tanzanian teachers. Adrian quickly joined the Tenda Teachers team as Co-Director and began setting groundwork for developing and implementing teacher trainings. He was a founding member of the National Alliance for Teacher Professional Development, and was instrumental in organizing two national meetings of educators and education professionals to promote the goal of increasing the quality of teaching and learning through professional development and accountability. Locally in Nyamuswa, he organizes and implements the yearly English Bridge program to provide intensive English training. This gives students transitioning to secondary school a head start because the language of instruction switches from Swahili to English. He also conducts teacher trainings modeling the student-centered approach and has been working on the development of e-modules that can be distributed to teachers nationwide. All this work was done in a volunteer capacity and while continuing to teach, and most recently, working as Head of School (principal) at Nyamang’uta Secondary School. In January 2018, Adrian officially joined the Project Zawadi team full-time. He now has an opportunity to serve a wider community of teachers and students than he otherwise could have in his work at a single school. Adrian has definitely hit the ground running in our rural Nyamuswa office. He is continuing in his work with the Alliance, English Bridge, and e-module programs. Additionally, he has taken the lead as we develop closer partnerships with local schools and communities. He is working to kick off our Model Schools initiative that will provide infrastructure, professional development, and co-curricular support to schools following a plan developed by the school and local community and addressing their stated priorities. Adrian lives in Nyamuswa with his wife, Joyce (who is also a secondary school teacher), and their two children, Alvin and Alicia. Originally from the Kigoma region of Tanzania, his educational experience and expertise offers a unique connection to teachers and schools. We are so excited by Adrian’s energy, passion and knowledge, and look forward to seeing how the Tenda Teachers program of Project Zawadi develops through his leadership!